The CVI XL works on the same principles as the standard CVI, only on a larger scale. We've added 9 wire rope modules instead of 6, and upgraded to 8mm thick plates to handle the largest of handheld gimbal setups. 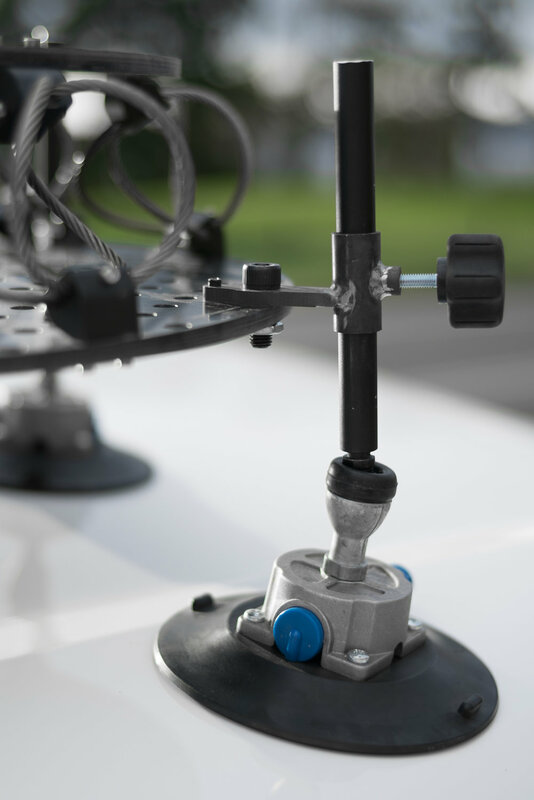 The payload range can be adjusted from 8 to 35 Lbs by simply adding or removing wire rope modules. Even with lighter payloads, the CVI-XL provides better stabilization than the standard CVI because of its larger mass and wider area moment of inertia. 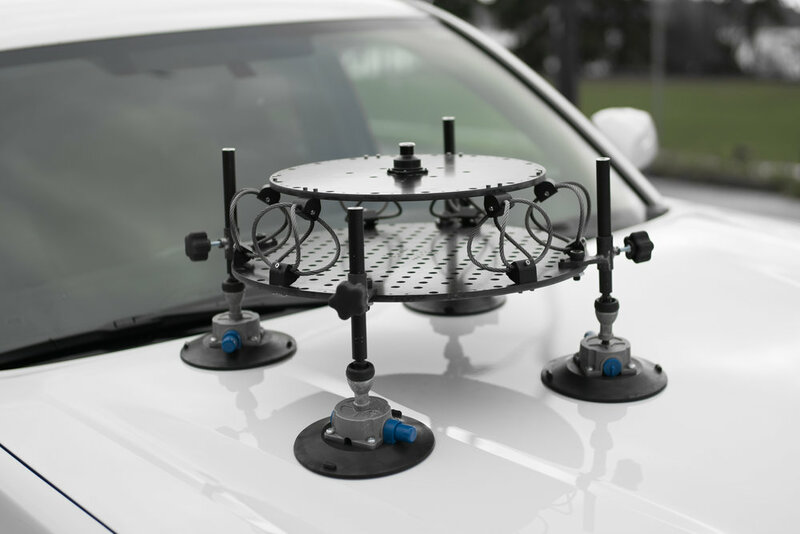 The Quick Mount makes it easy to turn any vehicle into a chase car within minutes. It uses four vacuum cups to secure the isolator in place. Ball joints allow the vacuum cups to pivot and adhere to any slanted vehicle contours. Adjustable legs make it easy to position the vacuum cups and adjust the angle of the isolator. Note: The Quick Mount was developed after the current version of CVI-XL. Installation of the Quick Mount requires drilling four small holes in the CVI-XL's lower fiberboard plate. For more info see the Quick Mount Assembly Instructions page.